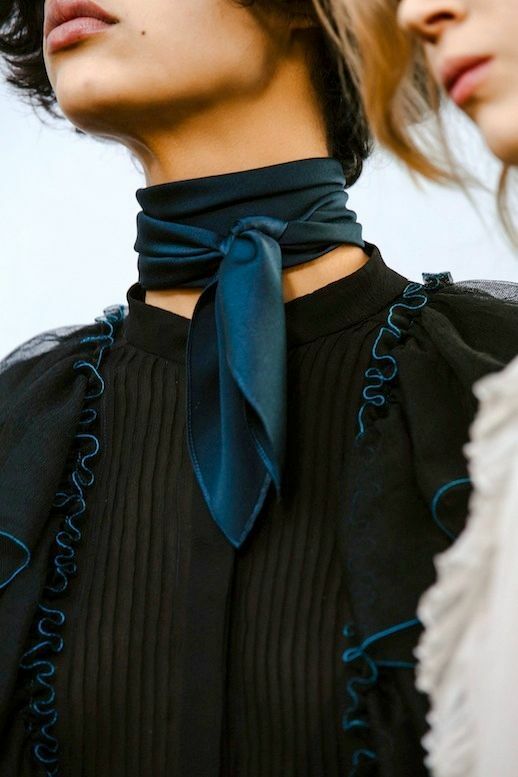 The silk neck scarf is still trending this fall and here is a great way to try the look this season and beyond. Play with a larger scarf size so you can get the wrap effect as seen here with longer ties in the front. Pair with a ribbed knit and leather jacket for an understated, yet chic outfit.